Most children shift to two naps sometime in the first year and then down to one longer nap sometime between 18 months to two years old. Many children give up naps on their own between three and five years old. Before they give up naps all together, many young children go through phases of not napping for a few days then napping again for weeks. This ebb and flow can go on for a long time. Having quiet time at the otherwise nap time is the best way for daily naps to return. In our house, quiet time was an hour in their beds playing quietly or looking at books. 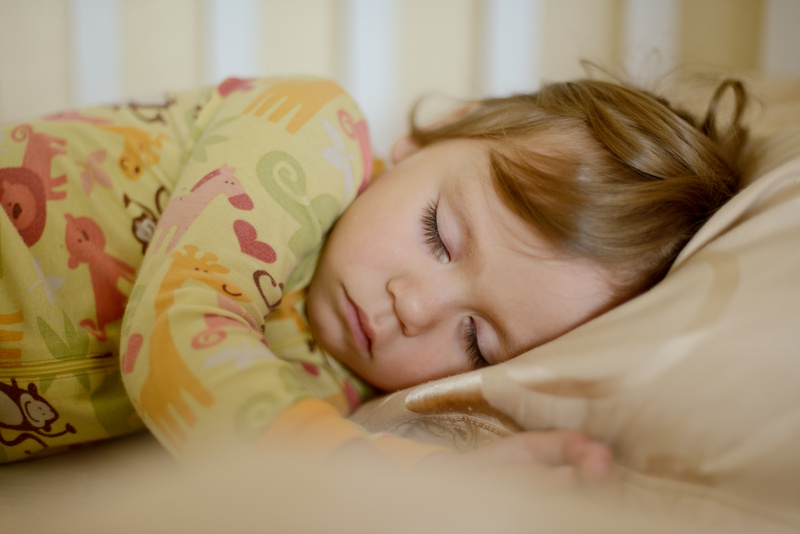 Children that are quiet and laying down will likely fall asleep if they need to. Respect the quiet time like you do the nap, same time every day and required. If quiet time is optional or only happening on days it fits the schedule, then it becomes more of a fight and much more likely that the child will give up naps all together. Once they do give up naps, it is fine to keep a quiet time as long as you’d like. It can be helpful for children to nap in the same place and at the same time every day. A consistent schedule will help children fall asleep easier. It can also be helpful to have a brief naptime routine similar to part of your bedtime routine. This might be reading a story in the same chair you read bedtime stories or singing the same songs. If you pat backs for five minutes at bed time, you might also do this at nap time. If your child naps at daycare or preschool three or more days a week, it can be helpful to follow the same schedule at home. To learn more about naps and bedtime routines, sleep associations and ways to get children to sleep, join me for a workshop on Bedtime Routines and Sleep Issues on September 24 from 7:00-9:00pm. For more information and to register, please visit http://www.eventbrite.com/o/parenting-by-dr-rene-parenting-playgroups-283710166?s=1328924.